Bella Terra, including its parking lot, is private property. In order to maximize the enjoyment, convenience, and safety of our guests, the following standards of conduct are set forth for the purpose of protecting the center’s legitimate business interest. Any violation of the code interferes with the commercial nature and function of the center. As a visitor on this property, you are prohibited from engaging in any of the following activities while on this property. • No possession of any item that could be used as a weapon, including but not limited to firearms, explosives, fireworks, clubs or sticks over ¼" in diameter (except umbrellas, canes and other medical type devices), knives with blades over 2" in length, or any other object(s) that may be used in any way to inflict bodily injury on another person, even if legally owned, except by CA law. • Using physical force, obscene language, gestures or racial, religious, ethnic slurs that are discriminatory. • Physically or verbally threatening any person, fighting, annoying others through noisy activities or any unnecessary disturbance which disrupts or endangers the center’s patrons or its function. • Running, skating, skateboarding, bicycling, obstruction or interfering with the free flow of pedestrian traffic. • Creating litter of any matter on the property, except in designated trash receptacles. • Defacing, damaging or destroying any property. • Loud behavior, the playing of musical instruments or audio devices. • The blocking of store entrances, walkways, fire exits, and elevators are prohibited. • Groups of three or more may be dispersed. • Engaging in non-commercial expressive activity without the prior written permission. Including picketing, leafleting, soliciting, unauthorized scavenger hunts and/or petitioning. • Dogs must wear a leash and be supervised at all times. • Any unattended bags are subject to search and possible seizure. • Soliciting money or other contributions or donations, or distributing commercial advertising or promotional material of any kind except with prior written permission. • Failing to be fully clothed, not wear shoes, or wearing apparel which has obscene language, obscene gestures, or racial, religious or ethnic slurs. • Sitting on floors, planters, handrails, stairs, elevators or trash receptacles. • Possessing any open can, bottle or other receptacle containing any alcoholic beverage, except in areas specifically designated for the consumption of alcohol. • Loitering, delaying, lingering or remaining idle about the exterior of the property. • Engaging in any unlawful activity or behavior or disrupting everyday business activity. • Smoking is not allowed in the Garden, Pavilion or within 25 feet of any business establishment. 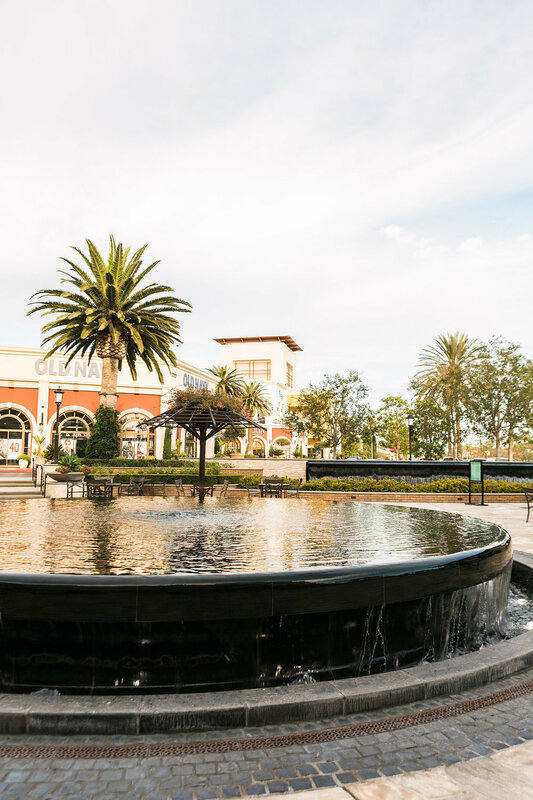 • Parents must watch children around the fountain; no climbing, bathing, or swimming in/on the fountain at anytime. • No unauthorized overnight parking or camping. • Photographing, videotaping and/or filming requires the prior written consent of the Management Office. In order to provide a safe, secure and pleasant environment, we ask all guests and employees to comply with the rules of conduct at all times. Failure to comply with the rules and regulations of the Center can result in expulsion from the property and possible prosecution for trespassing (California Penal Code Section 602.1).